I'm so excited to be a Guest Designer this week for Christmas with the Cricut. When I got the email from Joy, Melanie and Tammy I almost jumped out of my seat. My favorite holiday is Christmas. I love the whole season! Spending time with the family, decorating shopping, wrapping presents, eating, eating some more, baking cookies, eating the cookies. Did I mention shopping? We were asked to use two Cricut cartridges for our projects this week. Winter Woodland and Storybook. I love both of these cartridges! And now head on over to my dear friend Teri's blog to see what she has done for Christmas with the Cricut. Cute card....love Simple Card Mondays. Sweet card Christina!!! I have the cart, just haven't had the time to cut with it! I need to get my groove on and get some Christmas cards done! I love this card, all the layers are gorgeous!!! Congrats on being a guest designer, you did good Girl!!! Love simple card mondays...thanks for being a guest designer....I need to put that cart on my wish list. Great card and great video. 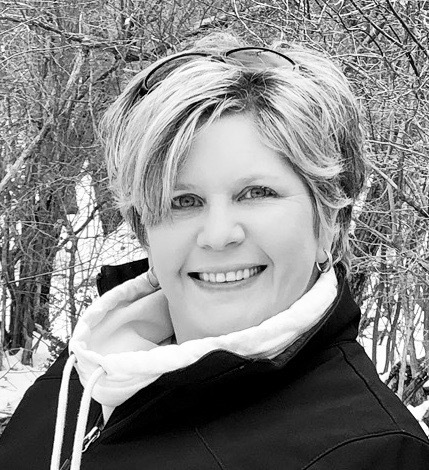 Very nice Christina and CONGRATS on being a Guest Designer for Christmas with the Cricut! Rock on! Oh, Christina! This card is fantastic! You are a VERY valued member of our team!! I cannot wait to see everything else you have made this week!!! Stopping over from Christmas with the Cricut. Loved your card for simple card Monday. Can't wait for the rest of the week! Christina - I have been looking forward to this since I found out CWTC picked you as a guest designer - HOW AWESOME! You have NOT disappointed us one bit - this project is absolutely beautiful. Wonderful card. I didn't realize this cartridge had all these neat sayings with backgrounds. Very nice card Christina, I love all the layering. Very cute card. Thanks for sharing. I am glad to have found Christmas with the Cricut. I have always enjoyed your videos. Love the card!! your tutorials are fantastic. Thanks Christina! I love this card! 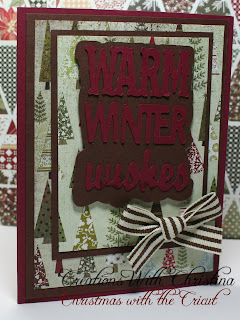 That WINTER WOODLAND cartridge is perfect for cards and you picked out my favorite sentiment! As always a great design and great video. I just love this cartridge. And I love your card. I've got to get me this cartridge. Thank you sharing. This was my first Simple Card Monday. I have Parkinsons' and love learning what the Cricut and these videos can do for me. Thx so much. Each day I think "I'm done making Christmas cards" and then you create something even more fabulous than the day before!!! I love your cards. Especially the ones with videos. Loved this simple card. I hope to make some for Christmas. I have also enjoyed your Wild Card videos. You have given me so many ideas.